You read that correct, you can walk into Mexico to save money and points on your next flight down South for the holidays. Before I lose you, stay with me and then see if it makes sense for your travel and ‘points’ situation. Have you ever tried to redeem points around the holidays? It can be ugly and sometimes impossible to make happen without altering your plans. Airlines know when to expect demand and they raise award prices accordingly. Fortunately you can bring a Mexico beach vacation back into reality with some maneuvering. By maneuvering I of course meaning walking across the border. But hold on. Tijuana airport is a major airport (5th busiest) in Mexico and is only 20 miles from San Diego. 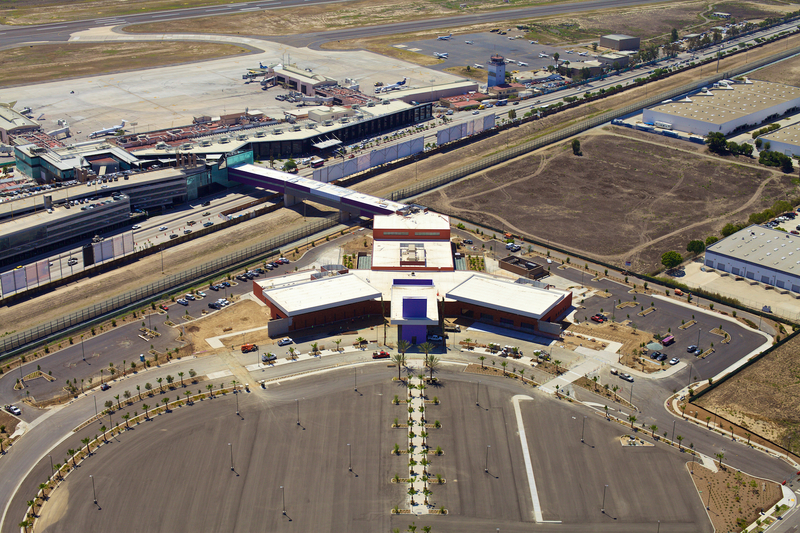 The Cross Border Express, CBX, is a recently constructed walkway from the US that directly connects you to the Tijuana Airport. (General Abelardo L. Rodríguez International Airport). For this convenience factor, CBX charges $16 one-way or $30 round-trip to utilize this border-crossing walkway. Additionally, you can take a shuttle from downtown San Diego or the San Diego airport for $10 one-way. This CBX crossing makes it very convenient to catch flights from within Mexico. If you live in Southern California or can inexpensively catch a flight to San Diego (Companion Pass? ), this option may make a lot of sense when redeeming points around the holidays. As you are aware, Southwest flies into San Diego from many cities in the US. For those in the Central or Eastern part of the US, you can consider this same “border crossing” option in El Paso or Harlingen, Texas. AeroMexico, a Sky Team partner, serves; Tijuana, Ciudad Juárez, and Matamoros, Mexico. The reason I mention those three cities is because they border San Diego, El Paso, and Harlingen, respectively. To make things sweeter, Southwest serves all three of those US cities making it easy to land on the US side, walk, drive, or shuttle across, and catch an intra-Mexico flight using your Delta points. This is where Delta comes in, a partner of AeroMexico. For flights wholly within Mexico you’ll need just 10,000 Skymiles one-way for economy and 20,000 for first class. The best part, and the main reason for this post, Mexico doesn’t necessarily celebrate the same holidays as we do in the US. That being said, intra-Mexico demand to beach cities in Mexico around US holidays is much less. This means you can put your Delta points to use around Memorial Day, July Fourth, Labor Day, etc. You can see that 10,000 Skymiles “one-way” award options are available from Ciudad Juarez as well as Tijuana. You will have a connection in Mexico City in both instances which isn’t great, but let’s compare my “conventional flight” options from Phoenix to Cancun on the same day. Oh my goodness, Delta wants 37,500 Skymiles for me to fly one-way from Phoenix to Cancun on the Friday before Memorial Day, still requiring a layover. I don’t know about you, but I don’t have 37,500 Delta Skymiles lying around for a one-way flight in economy. Can Southwest get me to Cancun for cheaper with points? Look at that, a one-way on Southwest from Phoenix to Cancun around Memorial Day is as much as 36,700 points. That is absolutely insane to say the least. For most of the country, myself included, we’d still need to get to San Diego, El Paso, or Harlingen for this to work as described. Southwest airlines, who serves all those cities, has pretty decent options for getting there using points. I can get to San Diego from Phoenix for just 5,007 Southwest points Saturday morning before Memorial Day. If you have Companion Pass, you can get two people there for 5,007 points, even better. San Diego and El Paso airport are now served by Allegiant Airlines for cheap connections to a handful of cities. San Diego airport happens to also be served by Frontier and Spirit if you need an inexpensive cash option to position yourself to the border in San Diego/Tijuana. Will this actually save you money and points? This of course depends on how you can position to one of the border cities. Additionally, the dates and your final destination in Mexico will determine the amount of Delta Skymiles needed. Do the math and see if it makes sense, in my case near Memorial Day it certainly would. The more expensive “conventional flights” will save me about four travel hours and $19 in cash. However, by doing the “border crossing” routing I will save at least 21,600 miles. I value Delta and Southwest points at 1.5 cents a piece so 21,600 savings in points is equal to $324! That is $324 ONE-WAY and for ONE passenger, whoa.